Archive photo-Iranian diaspora, supporters of the MEK, hold a demonstration in support of the Iran Protests for freedom and democracy at home. Under the current president, the US policy towards Iran has made a marked shift. The passive policy of appeasement that typified the Obama administration has given way to a firm and effective stance that the Iranian regime has come to fear and loathe in equal measure. 2018 saw the regime run roughshod on domestic human rights. 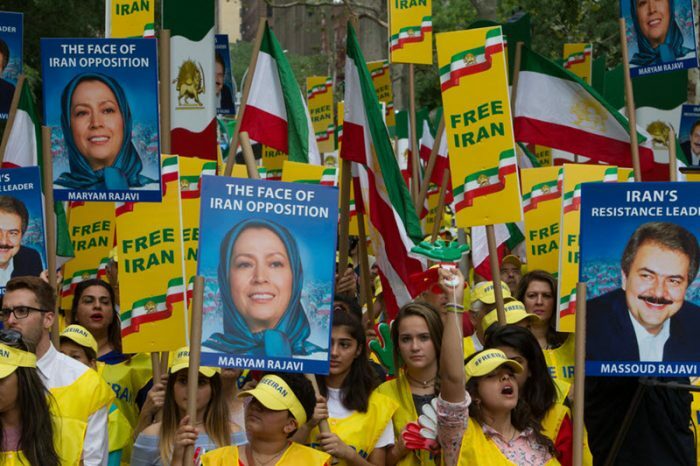 As the Iranian opposition mobilized the population in a wave of protests spreading across all 31 of Iran’s provinces, the regime arrested political opponents, tortured detainees, and publicly executed citizens of falsified charges. 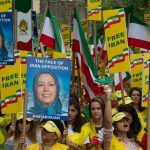 The article on the American Thinker referring to a recent book, ‘Dear God Please Bring Freedom to Iran’, argues that the only way the Iranian people can truly protect their human rights and individual freedoms is by overthrowing the Iranian regime. “The book tells the stories of the victims of human rights violations in Iran…These atrocities, rarely reported in the press, are just the tip of the iceberg of the regime’s brutality. Unknown political and religious prisoners in Iran have suffered much more than the rare cases that are reported in the bylines,” the article adds. Cases like that of Saeed Masouri who is serving a life sentence in regime detention for his affiliations with the People’s Mujahedin Organisation of Iran (MEK). His case has largely gone unnoticed in the international media. Another prisoner, Vahid Sayadi Nasiri, who was arrested and imprisoned over anti-regime posts he put on his social media pages, died after spending 60 days on hunger strike. However, his case has escaped media attention. The authors of the book ‘Dear God Please Bring Freedom to Iran’ have welcomed the Trump administrations firmer stance towards the Iranian regime. They acknowledge that the latest round of economic sanctions is a step in the right direction. However, they are also acutely aware that sanctions are just the beginning. “Despite imposed sanctions,” Bakhtiari said, “the ruling regime still oppresses people.” The mullahs are still able to create an imposing and repressive atmosphere across Iranian society. However, in order to fully achieve this goal, the US must adopt some of the recommendations from the Iranian opposition. The American Thinker’s article concludes its article by referring to the President-elect of the Iranian opposition, Maryam Rajavi,’s position on Mr. Pompeo’s stance saying. Maryam Rajavi has laid out detailed and specific recommendations for how international governments can lend their support to the Iranian people. Her recommendations include designating the Iranian Ministry of Intelligence (MOIS) and Islamic Revolutionary Guard Corps (IRGC) as terrorist entities; referring Iranian human rights abuses to the UN Security Council; expelling the mullahs intelligence agents from the US and Europe, and excluding the Iranian regime from the UN.